HRL Laboratories, LLC in Malibu, California. © 2017 HRL Laboratories. HRL Laboratories, LLC, is celebrating the 20th anniversary of its launch as a limited liability company. On December 20, 1997, HRL was spun off from the Hughes Aircraft Company and became an LLC now jointly owned by the Boeing Company and General Motors. HRL remains an internationally recognized research and development laboratory and leading-edge government contractor. HRL Laboratories’ capabilities in microelectronics, materials science, electromagnetics, sensors, and advanced computer science make it unique among top-level scientific research facilities. The nanofabrication conducted in HRL’s ISO Level 4 cleanroom uniquely provides production quality products while allowing for development of innovative processes. The facility also serves as a Department of Defense trusted foundry. 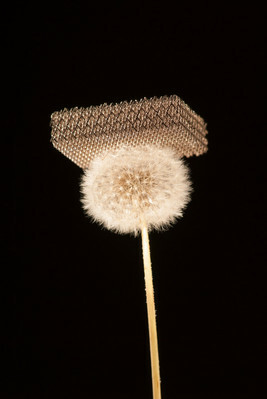 A sample of the world’s lightest metal, created from an HRL Laboratories microlattice template, sitting atop a dandelion. © 2011 Dan Little. Within the last 20 years, HRL research achievements have included xenon ion thrusters for satellite propulsion systems, high-impedance electromagnetic surfaces that enable conformal antennas, high-power lasers for satellite communication, self-forming microlattice materials created from a photopolymer process, the same microlattice used as a template to create the Guinness world-record lightest metal, the world’s fastest gallium nitride transistor, the first online learning neuromorphic processing chip, the first W-band millimeter-wave flexible electronics, noninvasive transcranial stimulation that increases learning speed, 3D-printable high-temperature ceramics, and 3D-printable high-strength metals. A new company logo is premiering as part of the anniversary celebration. The new graphic better represents HRL’s advancement further into the 21st century. 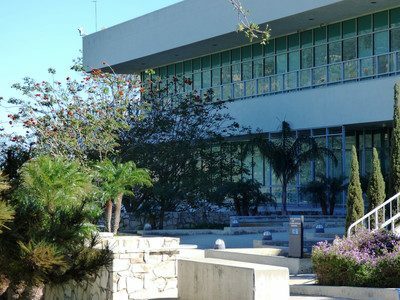 Howard Hughes’ initial 1960 vision of a secluded location where research would be stimulated by a stunning view overlooking the Pacific Ocean holds true today, and the beautiful surroundings remain key to the happiness and success of HRL Laboratories.